t*rexes and tiaras: Give me the song and I'll sing it like I mean it..
Give me the song and I'll sing it like I mean it..
Would you believe it? No new shoes, this week. I haven't really done a lot of sales shopping. I know that's hard to believe, but I think I was all shopped out before Christmas even began. I had a few days at home last week, feeling pretty poorly. I was glad that the decorating was finally finished, which at least meant I could have some time in my own home, relaxing and trying to feel a little better, whilst not feeling pressured to have to do very much. One of the things I did find time for was to get back into my sewing. In my resolutions post I challenged myself to try and do better than last year, aiming for a target of one item per month. After a rather productive few days, I am definitely feeling a lot more confident about that one. I made the bright blue dress with the pink lining a little before New Year, so I'm not counting that one, although it made it into the top photo. 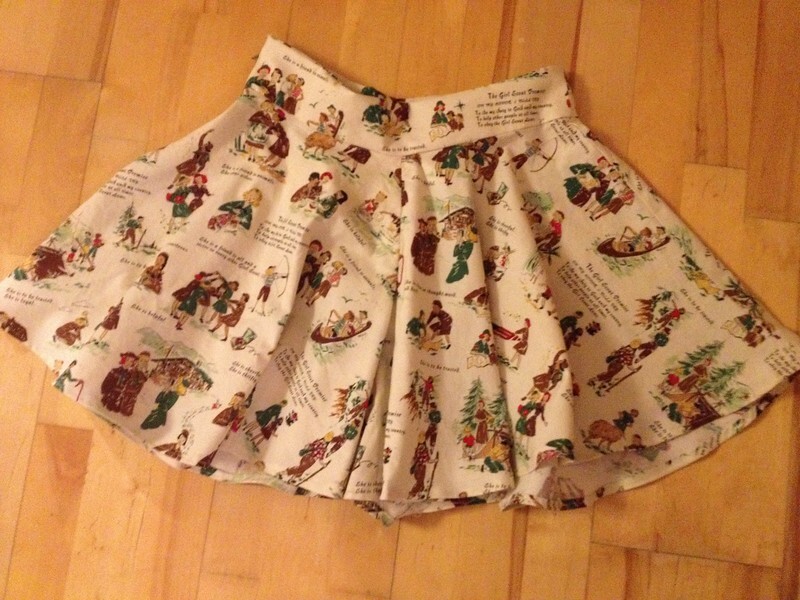 Likewise, I finally finished the Megan Nielsen Tania culottes, which I started work on in October, so I'm not counting those as a make for this year. 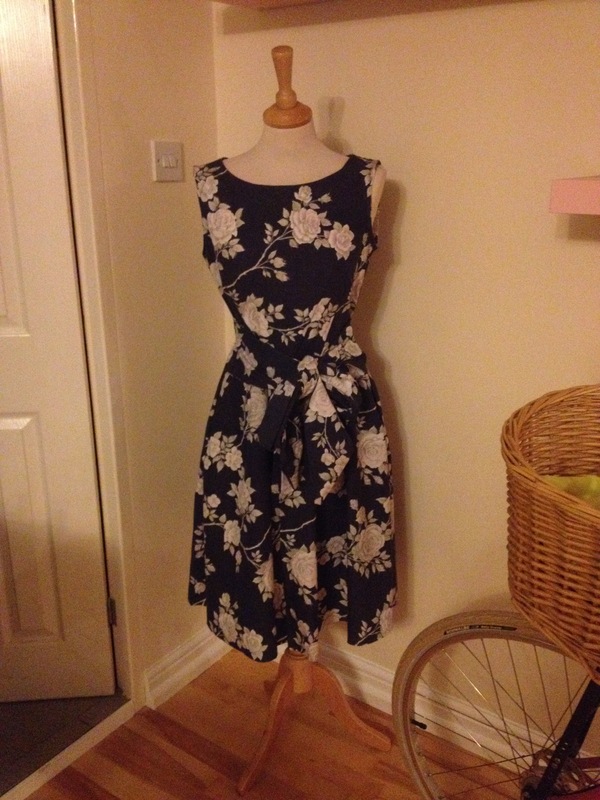 The other three dresses were all made using Simplicity 2444, which is a pattern I love for a few reasons. Mostly because it's so so easy to put together, as well as the fact that there are so many possible variations. Different sleeves, a cape collar or a stand collar, a waist tie; all of which are really easy to make. Although I wondered if it was a bit of a cop-out to make three from the same pattern, it's a shape and size I know fits me well, and I've already worn two of them since I made them, so that has to be a good thing. I think the tortoise one is my favourite print, although the navy rose one has to go down as my best bargain - this one was a set of curtains I purchased a while ago for £2.50 in my local British Heart Foundation. 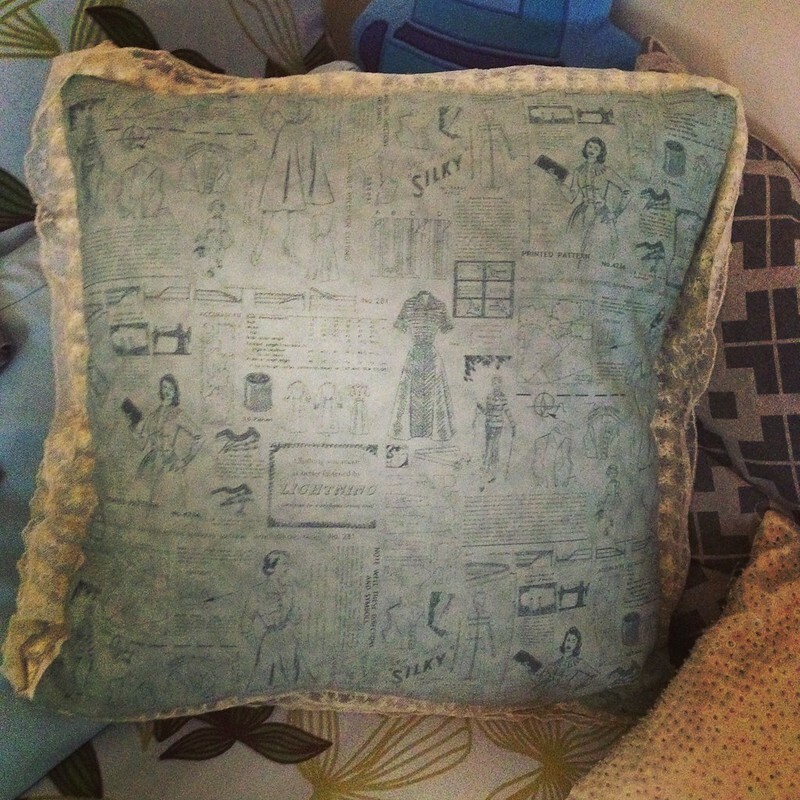 The cushion was a bit of an experiment. I wanted to see how an idea worked in my head before making a present for a friend - which I've made but don't want to post photos of because I know she reads the blog. I liked the way it turned out with this fabric, though and the trim which I think was a present from Vix, ages ago! It's made a nice new addition to my newly-organised furniture in the living room. More on that tomorrow. 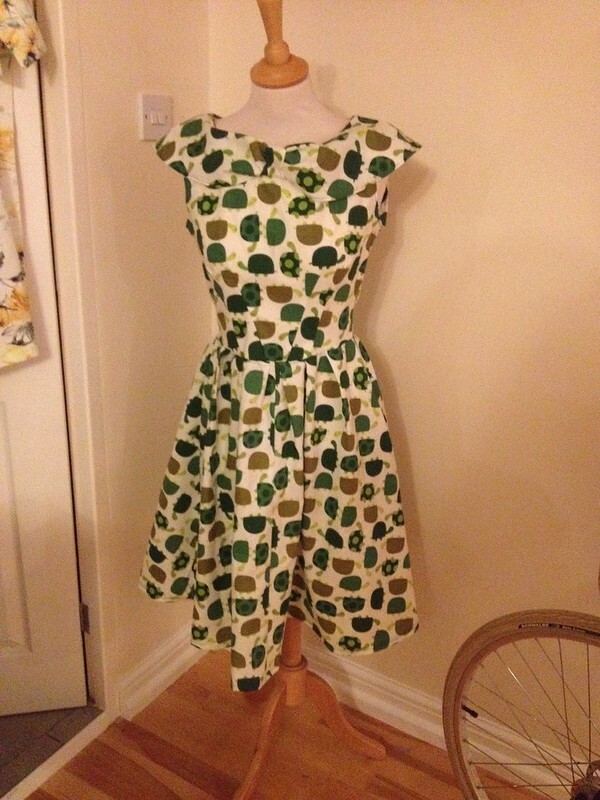 I'm pleased to have finally found my enthusiasm (and some time) for sewing again. It's so good to have a creative outer that you can immerse yourself in. And you get new clothes at the end of it - result! 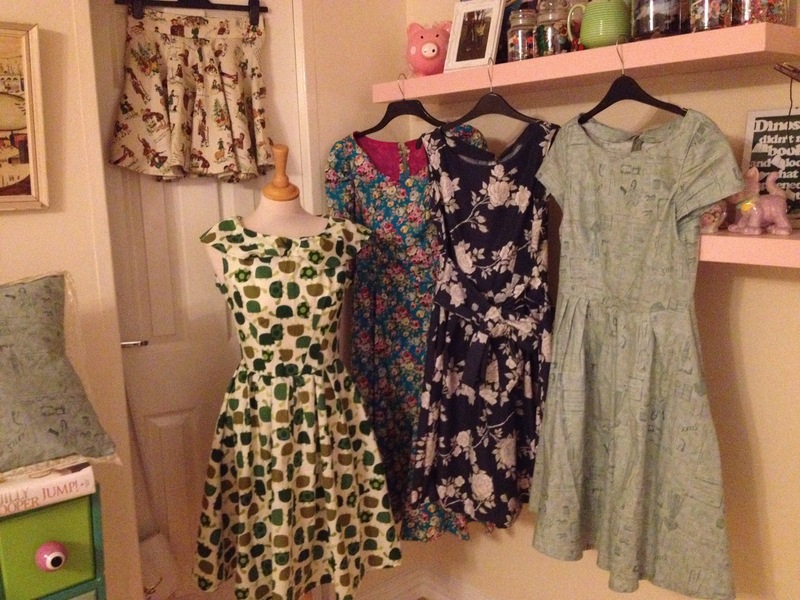 These dresses all look different despite being the same pattern, I think the navy rose one is my favourite. Ah char I'm so impressed! They all look amazing! I know I've said it before but these dresses really are amazing! 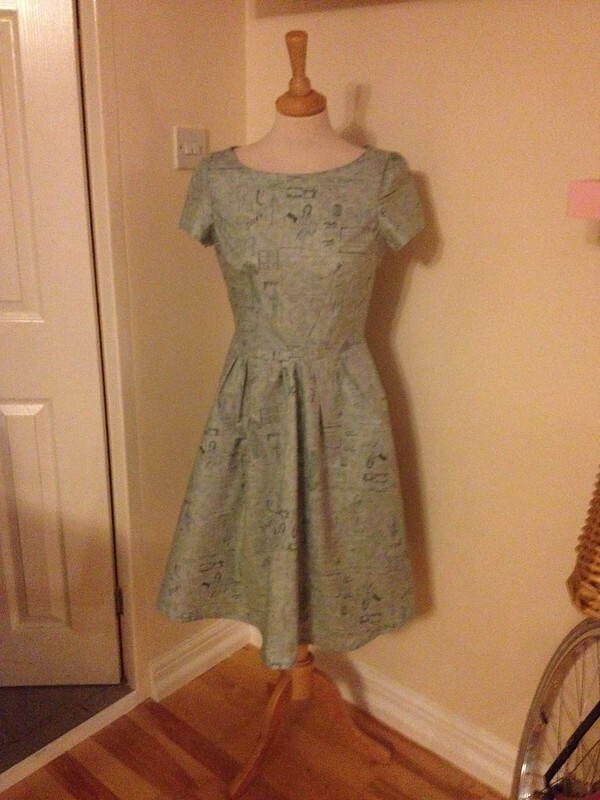 These dresses are beautiful, I really wish I knew how to sew! They're all fabulous and great fabrics too. Nothing wrong with sticking to the same-ish thing.